Still, if you’re applying for a server technician position, it helps if you understand how hardware and firmware works. It also helps if you understand automation. Like other hyper-scale data center operators, Facebook has put a lot of effort into reducing the amount of people it takes to service hardware. Servers-per-technician is one of the data center operations team’s key efficiency metrics. Today, they’re at one technician for every 25,000 systems in most locations and in some instances up to 40,000 systems. One of the key processes the company has automated is diagnosing and remediating server issues. Its home-baked FBAR system (stands for Facebook Auto-Remediation) takes a problem through three stages of remediation, and a ticket gets generated for a human tech only if the problem isn’t solved automatically. 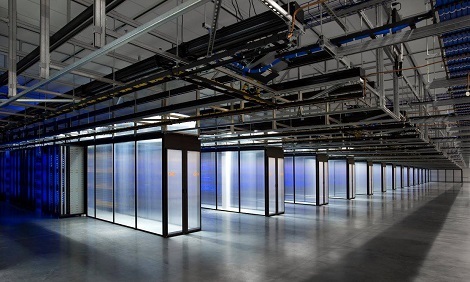 There’s also automation on the data center infrastructure management side, enabled by Facebook’s DCIM software. “We’re doing a lot of work to automate and detect issues in the environment,” Eberly says. Her team is taking a similar approach to automating mechanical and electrical infrastructure management as it’s done with FBAR on the IT side of the house, where the guiding principle is to have as little human intervention as possible. While local communities usually provide a labor pool to draw from for Facebook data center jobs, not every necessary skill set is easily found in every location. It depends heavily on the presence of other companies and education institutions in the area. The Luleå University of Technology in Luleå, Sweden, for example, is a reliable source of skilled workers for the company’s data center in town. In Forest City, North Carolina, being close to Apple, Disney, and Google data centers made some, but not all skill sets easy to source. “We actually had a very hard time sourcing technicians, people that were more familiar with the internals of servers” in Forest City, Eberly said. To fix the problem, the company partnered with a local community college and created several courses to train server techs. It took people who signed up for the courses on as interns and then placed the interns that worked out onto its hardware-repair team. When sorting through resumes submitted for Facebook data center jobs, Eberly pays close attention to introductions. “I always look at the introduction,” she says. “That says a lot about their area of interest, the kind of work that excites them.” She also looks for signals that a person is able to solve complex problems and work in a fast-changing environment. The weight of formal education on a decision about a candidate depends on the specific role they’re applying for. For a server technician, high-school education or previous work experience will usually be enough. Higher-level data center operations roles do require formal technical certification. Once a candidate’s resume has been selected, the candidate goes through a process the company calls the interview loop. The process is essentially set up to ensure people from multiple teams and multiple levels in the organization have had a chance to speak with the candidate and can make a decision collectively. As the candidate goes through the loop, a consistent ‘yes,’ ‘no,’ or ‘needs work’ signal typically emerges across the teams they interview with, Eberly says.